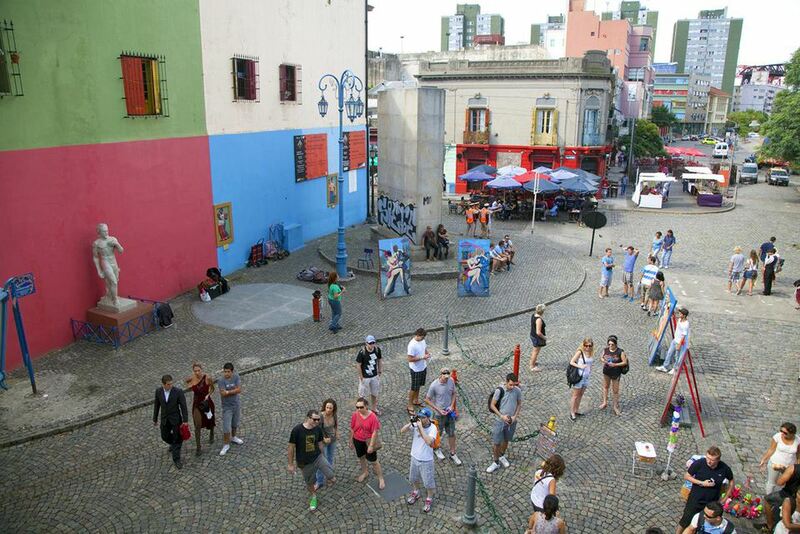 Travel and Leisure Magazine listed Buenos Aires as the number one city in Latin America to visit in its best of world cities ranking for 2011. By most accounts, Argentina, and Buenos Aires in particular, is experiencing a boom in tourism. The World Economic Forum estimated that, in 2008, tourism generated around US $25 billion in economic turnover, and employed 1.8 million. Domestic tourism amounted to over 80 % of this and tourism from abroad contributed US$ 4.3 billion, having become the third largest source of foreign exchange in 2004. This surge in tourism is no mistake. Argentina as a whole has been building its credentials as a hot spot for great travel for over a decade. Building on the trifecta of beef, wine, and tango which have been a great draw for visitors in the past, the city of Buenos Aires taken great care in providing would-be tourists with all the information about other aspects of this "Paris of South America" with campaigns, commercials, and its official tourism website: http://www.bue.gov.ar/. The official tourism website for Buenos Aires has most of the sections you'd expect and in three languages no less(English, Spanish, and Portuguese). It's got great information on currency, transportation, and weather. Here are a few sections of the website that we found particularly insightful or fun. Notable Bars: This section of the website gives a listing of 60 Notable Bars that have not only withstood the test of time, but cradled great writers, thinkers, and drinkers with in their walls. The list can be filtered by neighborhood and each have a terrific description to give you an idea of the "onda" or vibe of the bar. Themes (Temas): This section breaks down the city's offerings according to the the themes you're after including theater, fashion, tango, bars, and art to name but a few. Tours: Although there are a number of excellent guided tours available in the city, you can always go it alone. Use this section of the website to find the tour that best suits your interests. Agenda: This section is one of the most up-to-date places on the web to find out the latest events, shows, concerts, and cultural happenings in Buenos Aires. These are just a few of the many sections on http://www.bue.gov.ar/. Explore the website and see why so many people are flocking to Buenos Aires! Tourism Boards Can Help You Plan Travel to Chile, Argentina and more. Central America bound? Use these key resources.